Get your superhero brainstorming helmets on! 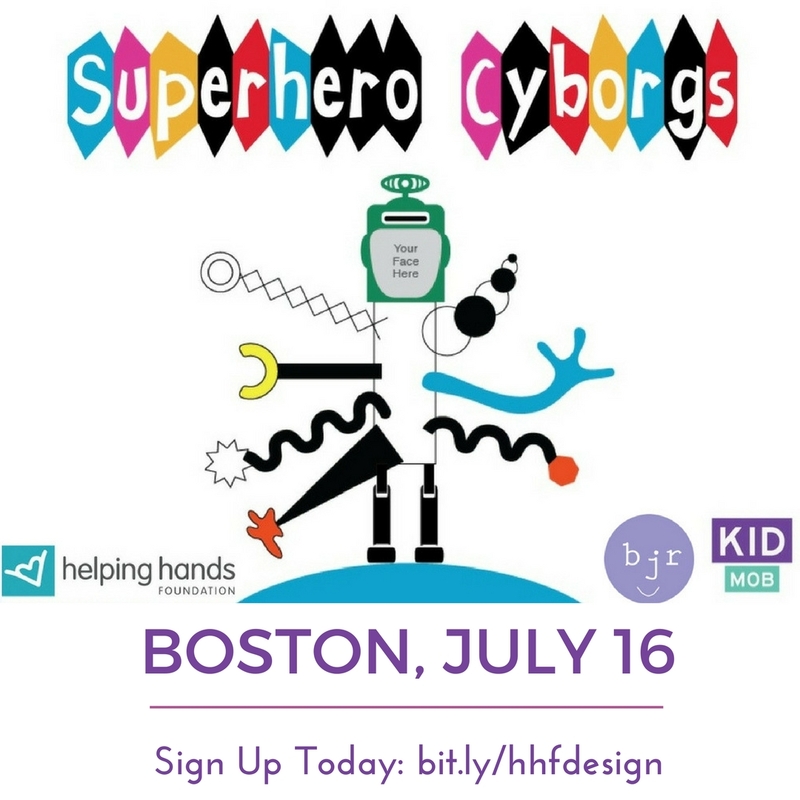 Born Just Right is teaming up with KIDmob and Helping Hands Foundation to host a one-day mini-Superhero Cyborgs camp to introduce the concepts Jordan used that led to Project Unicorn! We are crazy excited. Here’s the plan. Many kids and families have a chance to attend the Helping Hands Foundations Summer Outing on July 15th. Jordan and I plan to join in on the fun. And then, we are headed south to Boston on the 16th to team up with KIDmob to spend a day introducing design to kids with upper limb differences or limb loss! We just need eight kids between the ages of nine and 15 to join in to make it happen. Jordan launched her design success with the help of KIDmob and we would love to give a taste of the experience to other kids. We turned Born Just Right into a nonprofit to create events just like this one. (Hooray!) Jordan plans to explain the process she took to turn an idea into a unicorn-shaped prosthetic arm that shoots glitter. I plan to share insight to other parents on how I’ve supported Jordan as a design advocate and help open her mind into this awesome world. If you’d like to sign up, there is still time! Let me know if you have any questions. The last time Jordan and our family attended a Helping Hands Foundation event was when she was 18 months old. I am thrilled to get the chance to see more East Coast families. I’m even more excited to support an event that is focused on Born Just Right’s mission: To build creative solutions that help kids with differences live a more enjoyable life. 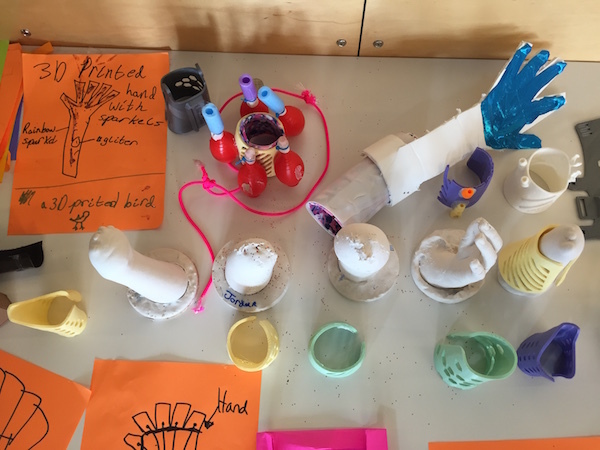 Giving kids design knowledge empowers them to create their own solutions. Please leave comments or email me (jen [at] bornjustright [dot] org) with questions. I’d love to see you there!